Beloved Ones, the Equinox on March 2018 is a powerful moment in the Spiral of the Sacred Year. The Equinox Star Gate is an 8th Dimensional Solar Gateway and it is transmitting waves of Diamond Light to the Earth along with powerful magnetic waves of Light Codes and Water Codes. What does this mean for you and for the Earth? These powerful waves of Light that are being received at the time of the Equinox transition (change of seasons) are assisting you to release and clear away remnants of old Time Lines and to focus on the New Earth Time Spirals that are being activated in this cycle. Whatever is leaving your life at this moment is not necessary for your New Earth creations and journey. As the old Time Lines collapse and merge, old feelings and memories may come up. Fragments of what was or what might have been will surface to be experienced and then released. Do not hold onto old dreams or old wounds, simply let them go and bless them for what they have given you or what you have learned. As you let go, you are making space for Dreams and Creations that have more clarity and are in resonance with the Higher Frequencies of the New Earth. The powerful waves of light that are being received from the 8th Dimension and higher are transmitting the Diamond Galactic Codes for Light and Water. In both cases, the Codes carry information from Source to create Clarity and Transparency on all levels of life. 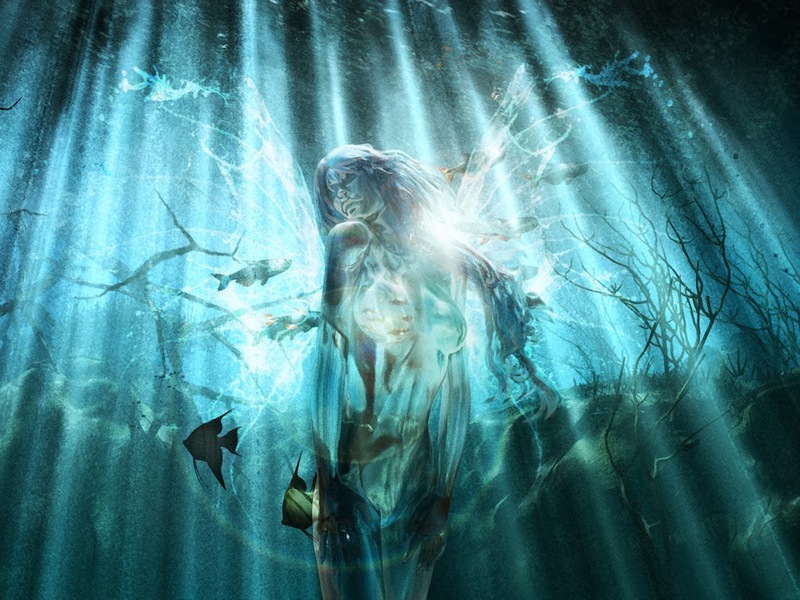 When the Light is Clear and the Waters are transparent, then all life can exist in a state of Diamond-like clarity and purity that reflects the pure essence of Spirit through the Soul and into Matter. As you ascend and evolve to higher levels of consciousness, you will embody these Diamond Codes for Light and Water and you will become more “pure” and translucent, more crystalline and more capable of being a transmitter of the clear radiance of Compassionate Divine Love. To receive these codes, Beloved Ones, you will need to focus on the Heart and to breathe from the Heart. For these codes, which are received via the Soul Star and sent to the Heart, are then spun out from the Heart into the manifestations of Time and Space that you call Reality. 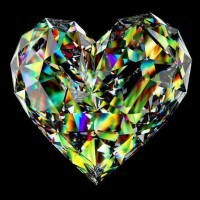 In the Diamond Consciousness, the Creations of your Hearts will be Clear and Light and Beautiful. And, the power of the Diamond Codes will cleanse and clear and regenerate life on Planet Earth so that Earth may become a multi-dimensional Paradise Garden. Since 2012, the Diamond Children have been incarnating on Earth. These are children with a very High Frequency and who are born fully aware of and connected to their Galactic heritage. 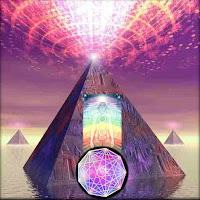 They have a very clear mission, which is to lift Earth into the Diamond Frequencies of the 9th Dimension so that these energies can be felt and anchored into the Fifth-dimensional New Earth. At this time, these beautiful children are assisting many of you to rapidly upgrade your personal frequency to the 9th Dimension (Galactic connection), so that you may also begin transmitting the Frequencies of Clarity and Light to the Earth. Soon, there will be many of you including Light Warriors and Light Workers and Diamond Children, who will be anchoring and holding these frequencies of clarity in a conscious way to assist the Earth to regain her Luminosity and her Sacred Clarity. Beloved Ones, the process begins with you. As you recognize that you have lost your sacred and clear connection with the Earth and with nature, you will seek to heal that within yourself. You will relight the Sacred Earth Fire in your Heart and you will clarify the Sacred Earth Waters in your body so that Spifrit may move through you in its pure and clear essence as Divine Love. And then you will begin to see the miracles of the New Earth that will happen around you. The Diamond Beings will come forwards as warriors of the New Spirituality to transform the Earth into a garden and to clarify the waters of the Planet. One by one they will come forward as their Hearts motivate them, to be part of the conscious process of ReGenesis. That is, the new beginning where the Diamond Light and Water Codes will spark waves of Creativity and Abundance in the Hearts and Lives of those who are holding these frequencies. The process of ReGenesis starts with you Beloveds. As you turn inwards and look at the deserts and the arid and barren places within, you will seek to heal these and once again create an inner Temple Garden of the Heart and Soul on Earth. And, once you have created your inner Sanctuary garden, you will begin to create this on Earth. The Earth is ready. She is simply waiting for the Creators of the Diamond Frequencies to sing a New Song and speak the Languages of Light that will acgtivate New Spirals of Creation. Waves of Magical Sound and patterns of Light Dancing will weave the New Earth Reality accross the Dimensions of Light and Magic on Earth. It is waiting for you to open your Heart and to receive the Light and Water Codes of these powerful waves of Equinox energy. It is waiting for you to send forth your dreams and creations on a new Time Spiral in these New Frequencies of Light and Clarity. What was before is over. What awaits you is a New Creation. Beloved Ones, open your Hearts and sing with your Souls. 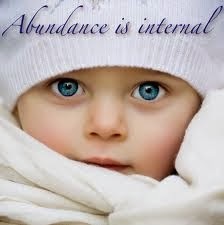 Become Conscious Creators of the Planetary and Personal ReGenesis. Please join us on the 21st March for a free online Equinox Broadcast on Blog Talk Radio to learn more about these energies. You can read Celia Fenn’s book “The Diamond Codes: Light Information for the New Reality,” available in E Book or Print format, for a better understanding of the Diamond Light Codes and how you can work with them.